One of the things I do when I’ve got my oil paints out is to prepare canvases to become future works. 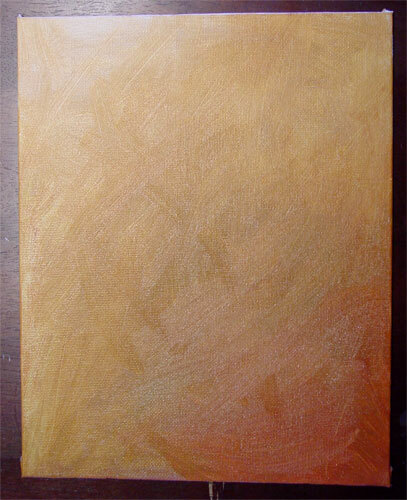 I have no idea what I’m going to do with this little canvas and its wash of golden light (the lighting in the image only intensifies the effect of the paint), but I’m sure I’ll think of something. A soft, sepia-and-white portrait, perhaps. Or giant evil bees. Who knows?